The launching ceremony also saw some of the senior students presenting their work to INTI’s industry partners. The software, a quarter of a million ringgit investment made by INTI in its continuous commitment towards providing the most industry relevant programmes, is an intelligent 3D model-based programme which equips students with the insight and tools to efficiently plan, design, and manage buildings and infrastructure. The launching ceremony and signing of the memorandum of understanding was held at INTI’s Nilai campus, with guests including Mr Ethan Chiu, General Manager of Glodon Software Sdn Bhd, and Professor Sr Dr. Hajah Wan Maimun Binti Wan Abdullah, Chairman of the Quantity Surveying Accreditation Council, Board of Quantity Surveyors, Malaysia. With the software already integrated into INTI’s curricula, students can expect to work on this platform from as early as their first semester in model design, and apply it to core subjects in areas such as measurement of quantity, costing, cost control and project management throughout their studies. In doing so, these students will graduate with the end of end knowledge of the software, giving them an edge over their peers in future career opportunities. In addition to the guidance of their subject lecturers, INTI students will also have advantage of an in-house Glodon Certified Trainer who is recognised by the Quantity Surveying industry. Sr Chor Goeh Huei, who serves as the Head of Programme and a senior lecturer at INTI, will helm the training and development of both students and lecturers in understanding and making the most of the software’s first class features. Through Sr Chor’s expertise, INTI has already established a pioneer group of 18 students who are being recognised by Glodon as competent users of the software. 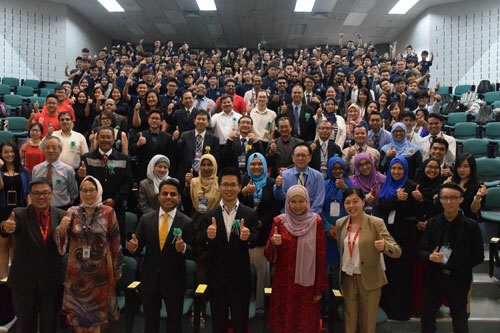 These final year students will be graduating in December 2016 and will be the first batch of INTI Quantity Surveying graduates to be recognised and ready to contribute to the job market. “With the launch of multi-billion dollar constructions such as the High Speed Rail project which is expected to generate close to RM22.5bil in new jobs, Malaysian graduates must be sufficiently trained to vie for such opportunities against their international counterparts. “Glodon’s BIM software is internationally recognised and focuses on the entire lifecycle of construction projects with the support of big data and internet finance services. 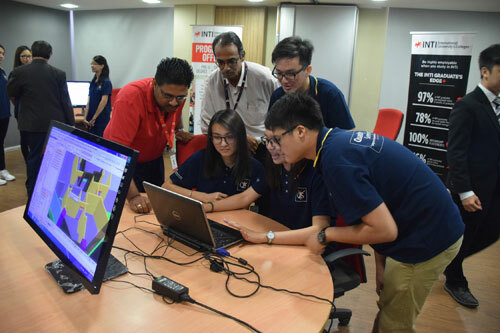 The software therefore complements the various aspects of INTI’s quantity surveying programmes and helps students to translate what they are learning in the classroom to the needs of the industry,” shared Dr Lai Yin Ling, Dean of the Faculty of Engineering and Quantity Surveying at INTI International University. Recognised by the Royal Institution of Surveyors Malaysia; the Royal Institution of Chartered Surveyors, UK; and the Singapore Institute of Engineering Technologist, INTI’s Quantity Surveying programmes prepare students to manage the financial and procurement processes of construction projects. The programme includes a range of subjects from cost planning to building development techniques and even management of legal issues pertaining to construction – providing a wide range of expertise to students entering this field. INTI’s Bachelor of Science (Hons) in Quantity Surveying also boasts 100% internship placements. Coupled with employer projects where students work with over 400 industry partners on actual industry issues and develop real-life solutions, students gain further exposure to potential employers and the industry prior to graduating. As one such industry partner, Loh & Loh Constructions Sdn Bhd, a leading infrastructure specialist in Malaysia with over 45 years of experience in major national infrastructure projects, also offers scholarships worth RM 60,000 each year to selected quantity surveying students for the duration of their course. This scholarship not only opens up an opportunity for students to impress a potential employer right from the start of their careers, but also emphasises the quality of the programme in meeting employers’ standards.